Maxell 88 megabyte syquest cartridge. The Maxell cartridge was preformatted. This particular Syquest disk is quite rare in the UK in our experience. 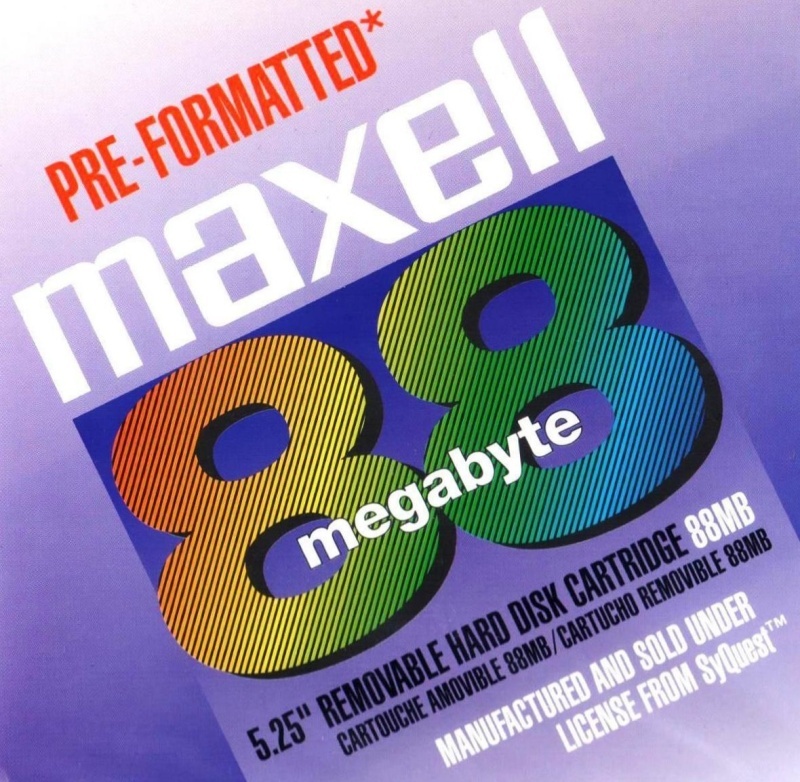 Most common are the genuine Syquest 88mb disks, but if you have a Maxell disks like this we can easily transfer the files to a USB drive or CD. If you need a Maxell 88mb syquest cartridge service, then contact our friendly company. Maxell 88 megabyte syquest cartridge. The Maxell cartridge was preformatted. This particular Syquest disk is quite rare in the UK in our experience. Most common are the genuine Syquest 88mb disks, but if you have a Maxell disks like this we can easily transfer the files to a USB drive or CD..